With striking vintage design and 24 /48 digital recording, the MV51 provides a complete recording solution. Use the kickstand to record a living room jam session, or mount it onto a mic stand to lay down a demo. The touch panel easily adjusts gain, mute, headphone volume, and features 5 preset recording modes. The MV51 includes built-in headphone monitoring and comes with both a USB and Lightning cable to connect with PC, Mac and iOS devices. 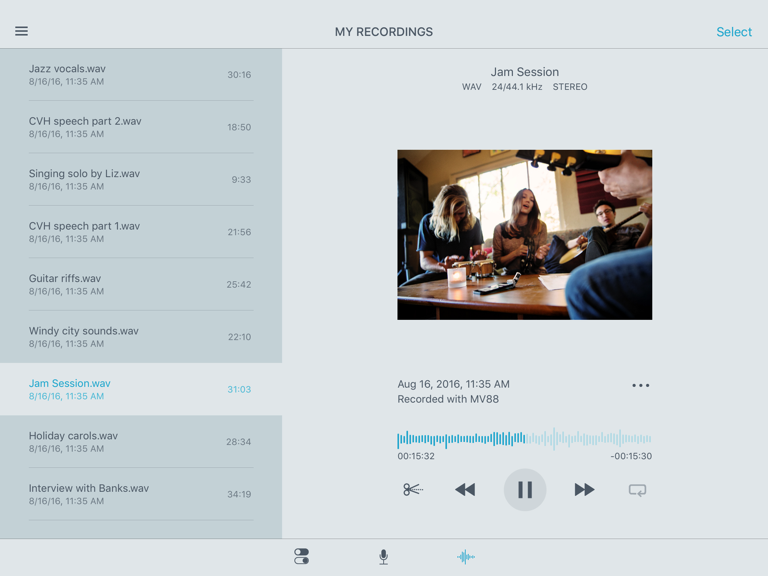 Record uncompressed files using the free ShurePlus MOTIV app. Go beyond the built-in preset modes with limiter, compressor, and 5-band EQ controls. When you’re recording, great sound matters most, and the MV51 delivers. Offering an integrated kickstand for tabletop use as well as a microphone stand adapter for traditional mounting, the Shure MOTIV MV51 large-diaphragm condenser microphone delivers unparalleled audio quality in a vintage, all-metal design. The all-digital MOTIV MV51 mic is specifically engineered for high-quality digital audio capture. 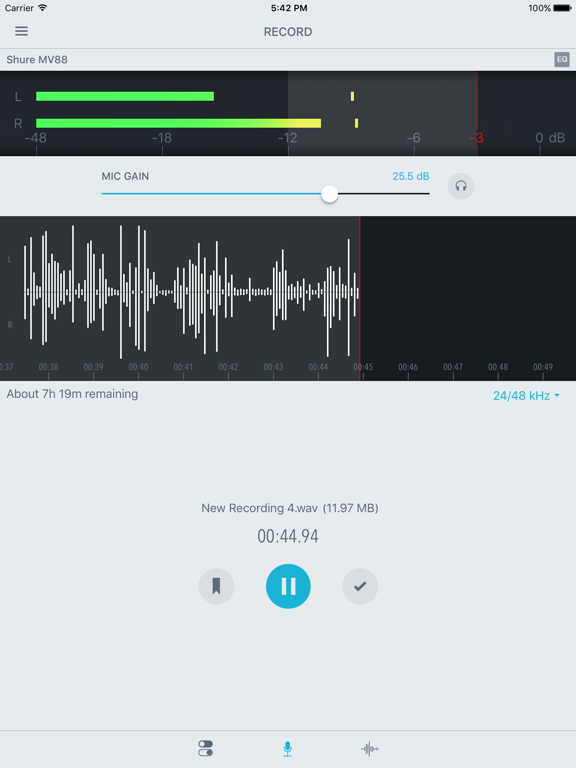 Even better, it seamlessly connects to any Mac, PC, iPhone, iPod or iPad for truly convenient digital recording. Equipped with five onboard DSP preset modes to provide optimal recording results, the MV51 includes a unique onboard touch panel control for quick access to gain, mute and headphone volume adjustments. The 2.5cm capsule element provides superior audio results, which are easily monitored in real-time via the built-in 3.5mm (1/8-inch) headphone output. The striking design includes an integrated kickstand compatible with any standard mic stand, making the MV51 a complete recording solution when convenience is required without sacrifice. Fantastic Sound from the big guns in Microphone Sound Design Shure. I'm a big fan of Shure and this is really a fantastic mic, extremely tough build quality and it's heavy! all metal. Sound is fantastic with different DSP settin I'm a big fan of Shure and this is really a fantastic mic, extremely tough build quality and it's heavy! all metal. Sound is fantastic with different DSP settings of which I prefer the "flat". Great for use as a desktop mic for FaceTime/Skype etc and equally great for lightning devices like iPad/iPhone. About a billion times better sounding than those Blue Snowball Yeti mic about on a par with the brilliant Apogee Mic which I also own but more versatile I think. I use professional mic with an Apogee Symphony I/O2 like the SM7B, SM57/58, VP88 etc etc I'm a sure fanboy for sure but this for convenience is a great mic, you could easily cut a track on this, acoustic instruments and vocals sound great when recorded in the flat setting and processed with Logic Pro or GarageBand. We are living in some great times when tools like this make creativity so easy. 10/10 Microphone. Also it's 25 quid cheaper from Apple than any other retailer in the UK. 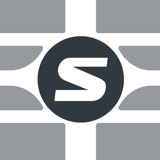 Is this review useful?Fantastic Sound from the big guns in Microphone Sound Design Shure. Fantastic Microphone | Compact Size | Solid Build | Stellar Audio Quality! I was truly surprised at the simplicity and sleek design of this product. This is my first Shure Brand microphone and boy does it knock it out of the park. The I was truly surprised at the simplicity and sleek design of this product. This is my first Shure Brand microphone and boy does it knock it out of the park. The clarity of the microphone is stellar and the price point, I feel, is well justified. You definitely get what you pay for with this item (in a very good way). I would suggest this microphone hands down for anyone wanting a well built, compact (travel friendly) microphone. If there was one thing I would suggest, it would be to purchase an additional USB extension cable as the one provided is not long enough for what I needed. These cable are cheap and in no way should hinder your decision in purchasing this product. Hope my review helps! *P.S. : I am also an owner of the Blue YETI microphone. While the YETI is great, there is a minor caveat. I would suggest the MV51 microphone over the YETI simply due to the high sensitivity of the YETI. The YETI does have its benefits but this simple caveat places the MV51 above it. Is this review useful?Fantastic Microphone | Compact Size | Solid Build | Stellar Audio Quality! so does it can replace earbugs when it is used for iphone ktv apps? but how does it connect to iphone? can i use the shure mv5 to talk (via iphone app over LTE) to someone on my iphone 8? my idea is to plug my earbuds into the shure mv5 for output. 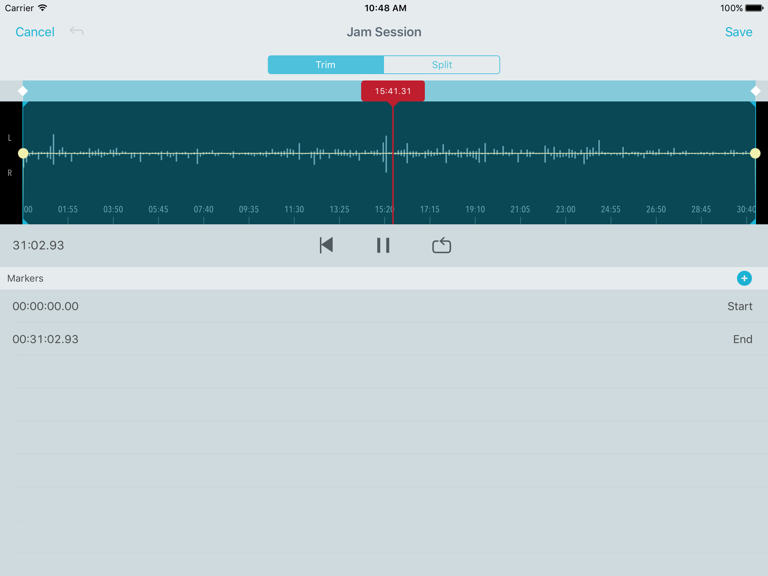 Use the ShurePlus™ MOTIV app for high-quality digital recording and editing with MOTIV microphones or as a standalone tool.